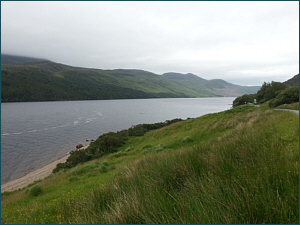 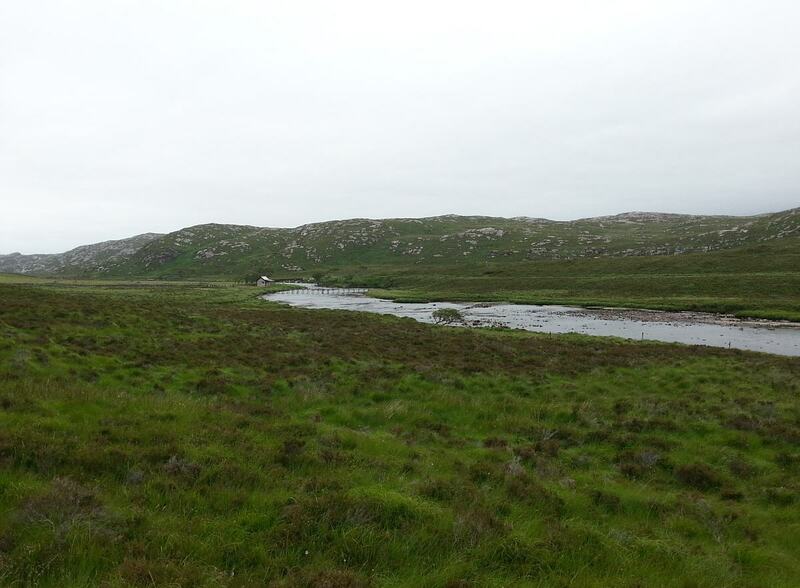 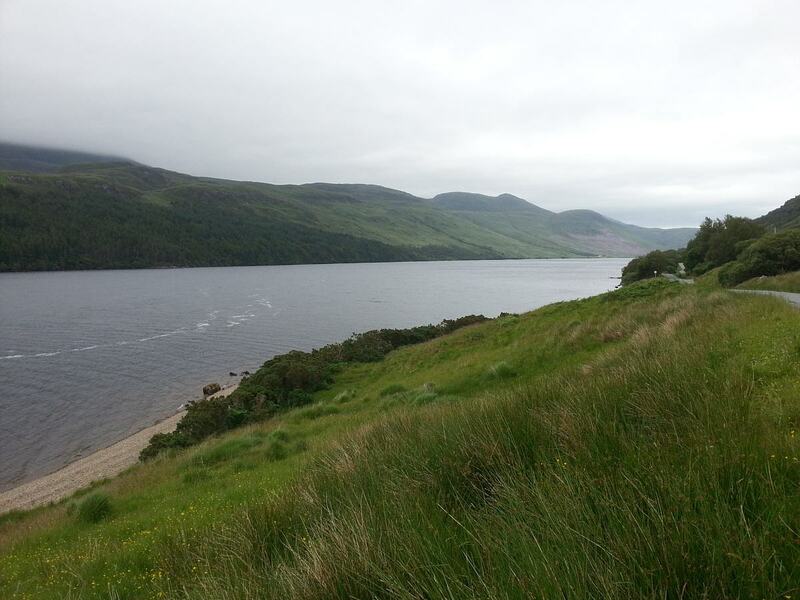 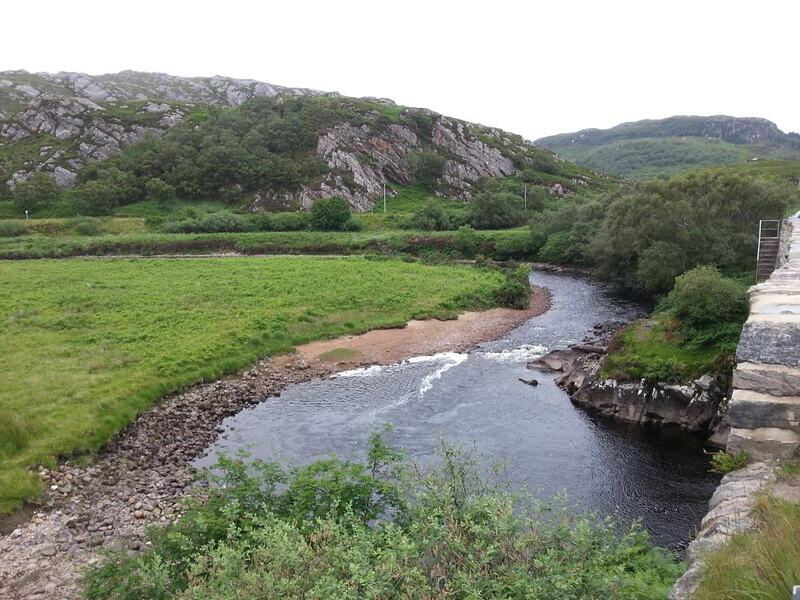 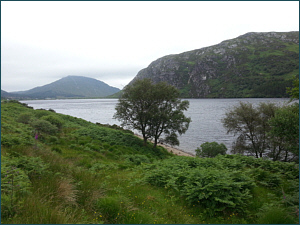 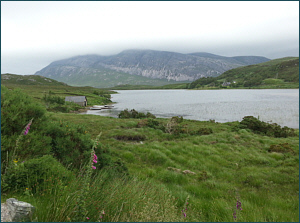 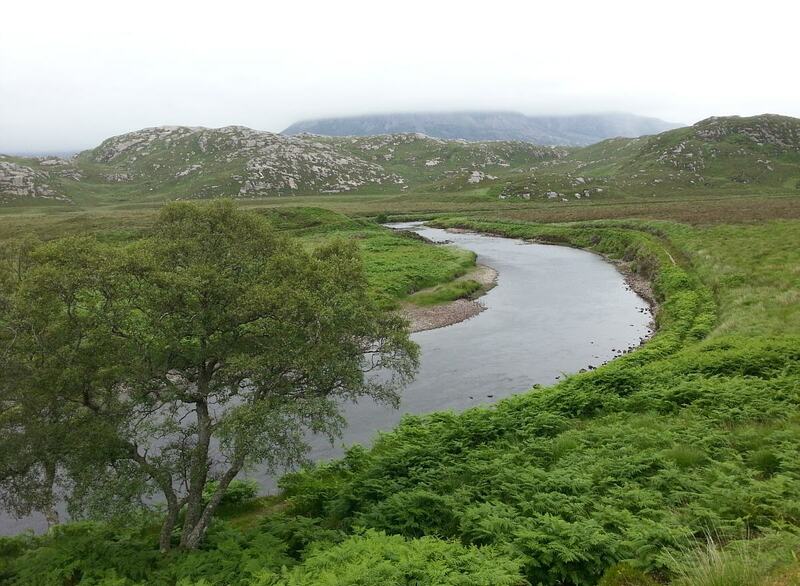 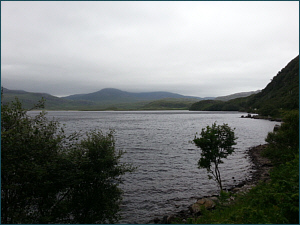 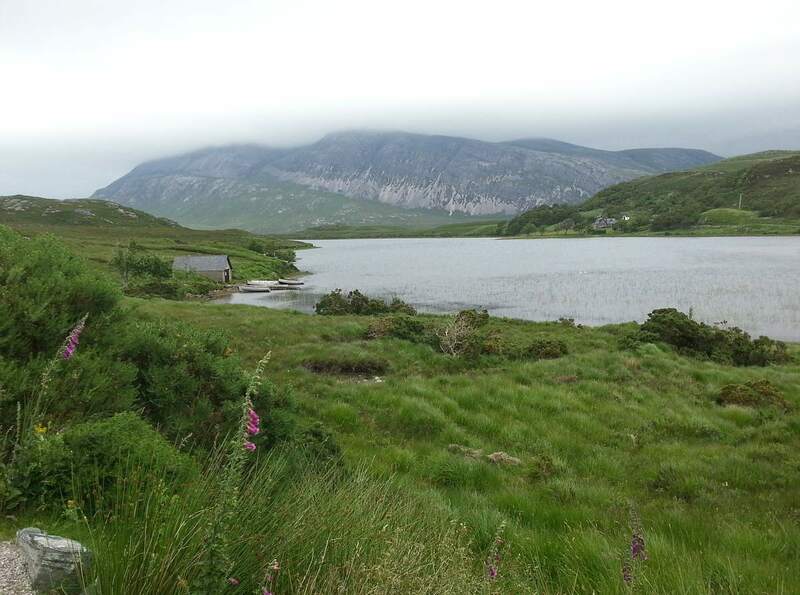 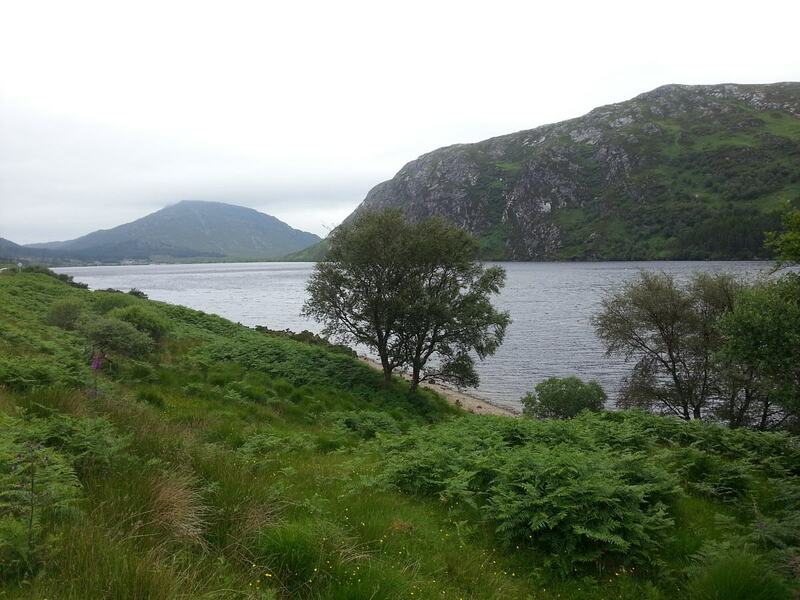 Lochs Stack and More, at the head of the River Laxford, have long been among the best of Scotland's sea trout lochs. 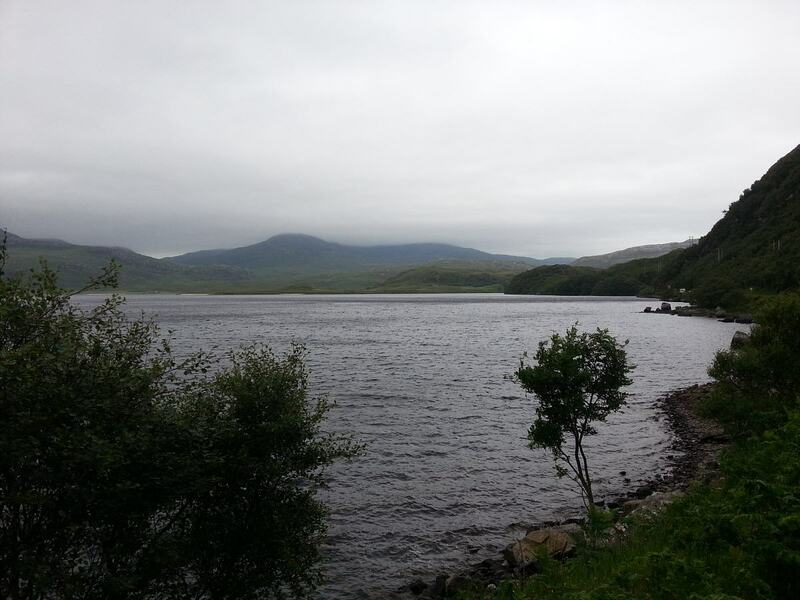 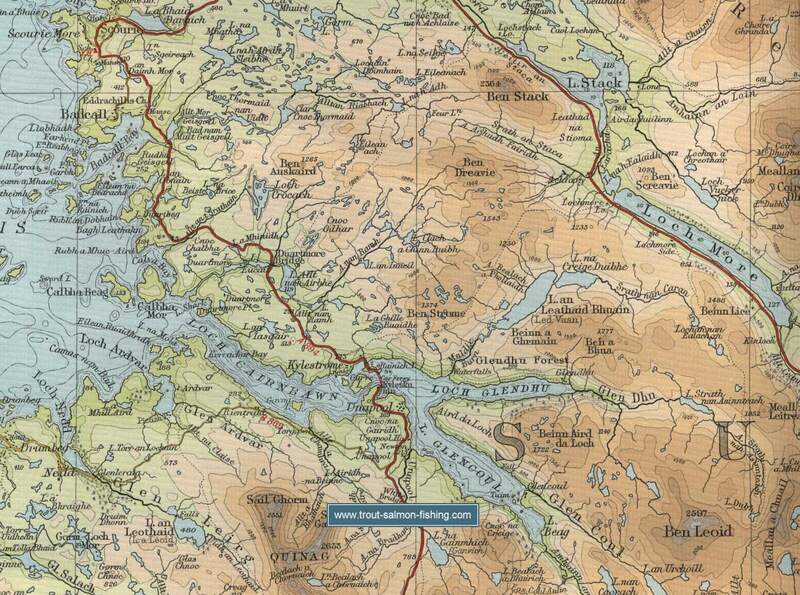 Fifty years ago, Loch Stack was regarded by many as the best in all of Scotland. 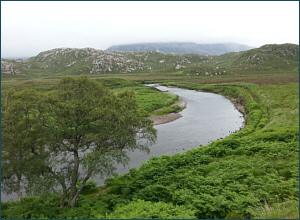 Sadly, in common with other lochs and rivers in the north west, stocks of sea trout have declined dramatically in recent years. 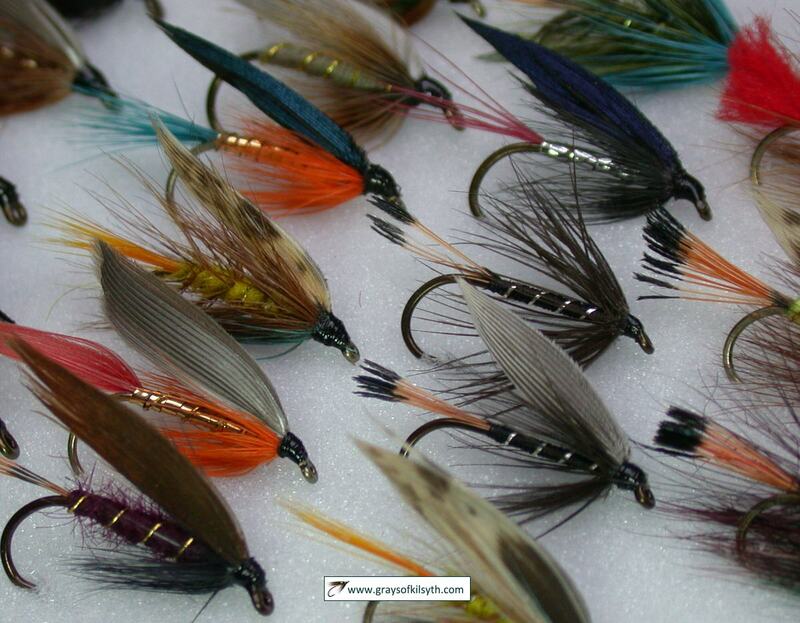 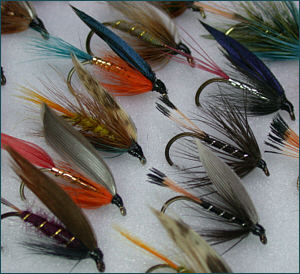 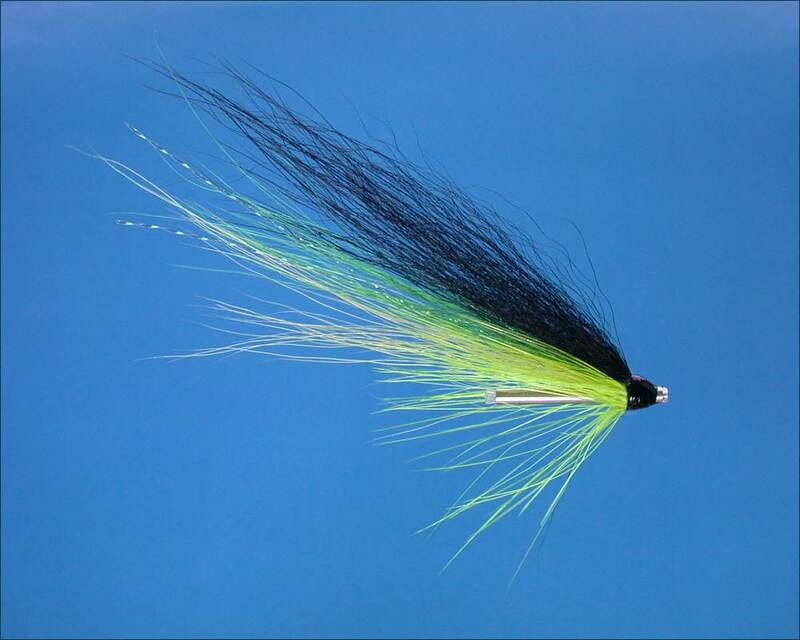 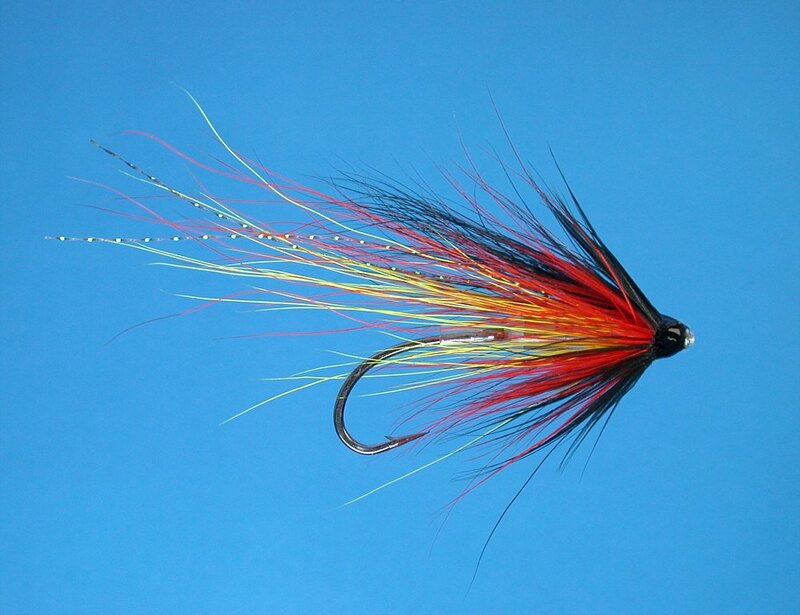 Fishing is by fly, with dapping being popular on the deeper Loch More. 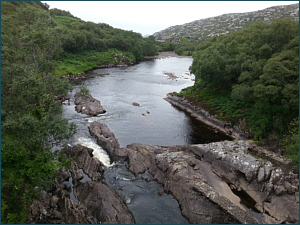 The best of the fishing is from June onwards with sea trout averaging a pound and a half and salmon of around six or seven pounds. 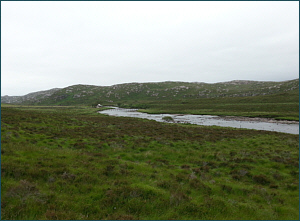 Boats may be hired from the Scourie Hotel, Scourie, Sutherland. 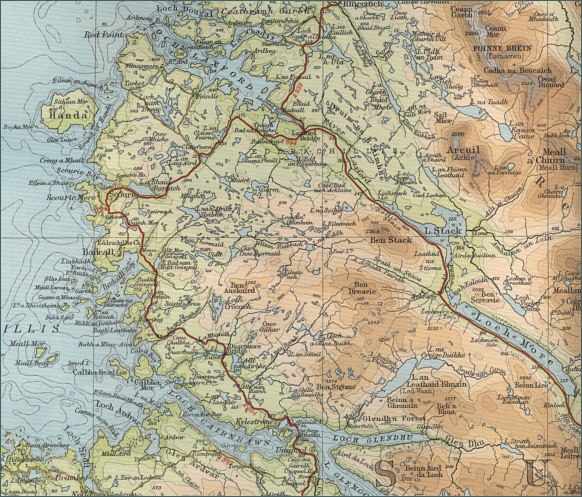 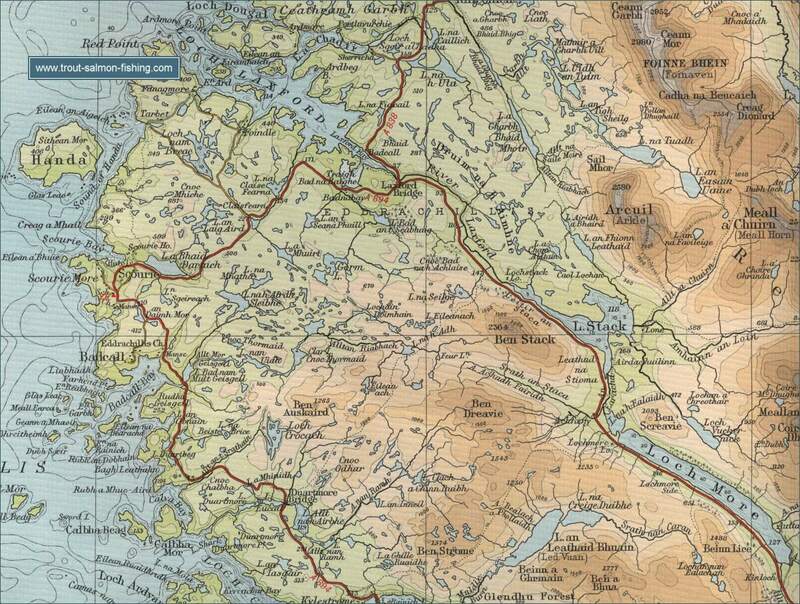 To view a larger scale map of a particular part of the Loch Stack area click on a selected area of the map below.